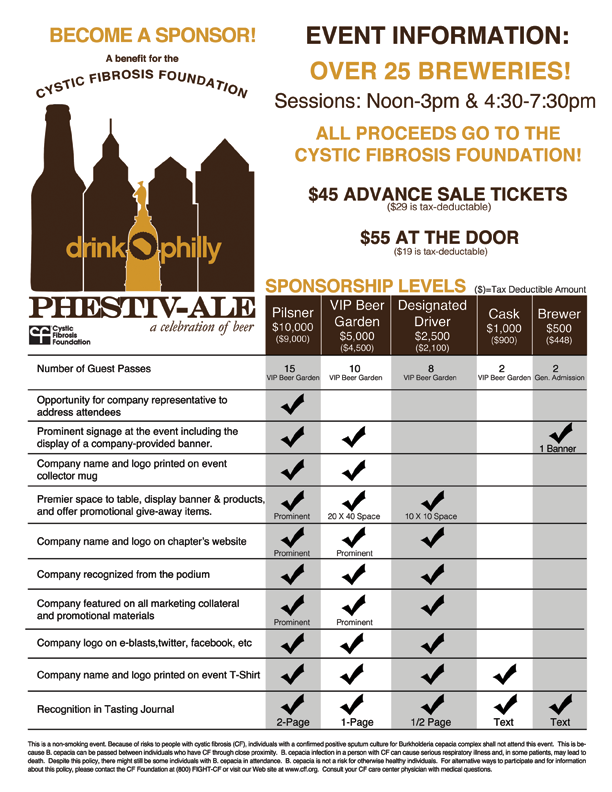 Thank you for your interest in becoming a sponsor for the first annual Phestiv-Ale, a beer festival raising money to fight Cystic Fibrosis. We are currently offering five levels of sponsorship listed in the attached PDF below. If you have any questions, please contact Felice Kelem at 610.325.6001 or fkelem@cff.org.